Can't believe there's only 4 more days! Boy am I ready for the break! We have so MUCH planned for this upcoming week! There's a gift idea with a freebie at the bottom of this post! 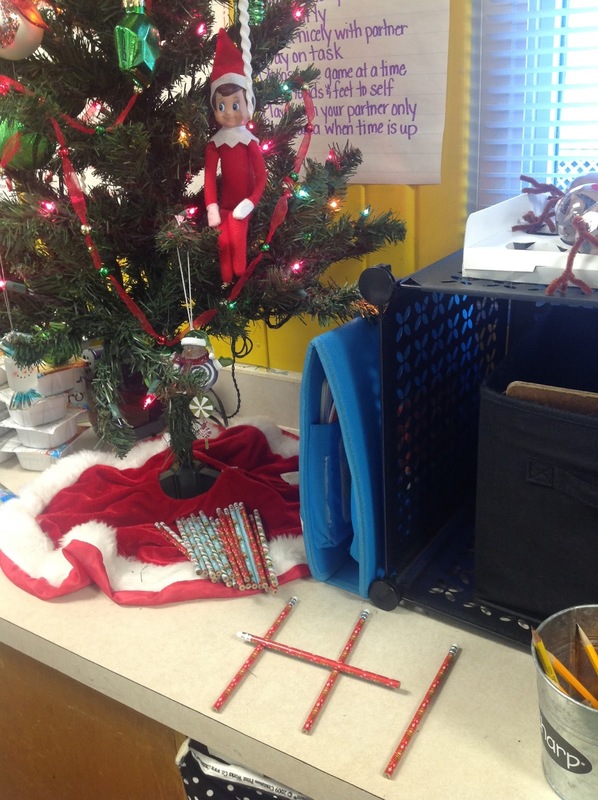 Monday: He was hanging out in our classroom Christmas tree and brought pencils for us! Our countdown to Christmas break was making snowflakes. 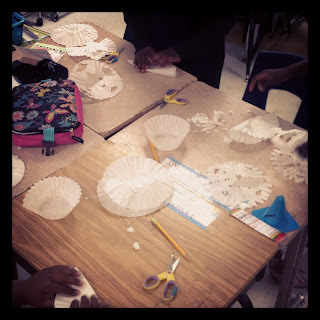 We made them out of coffee filters! 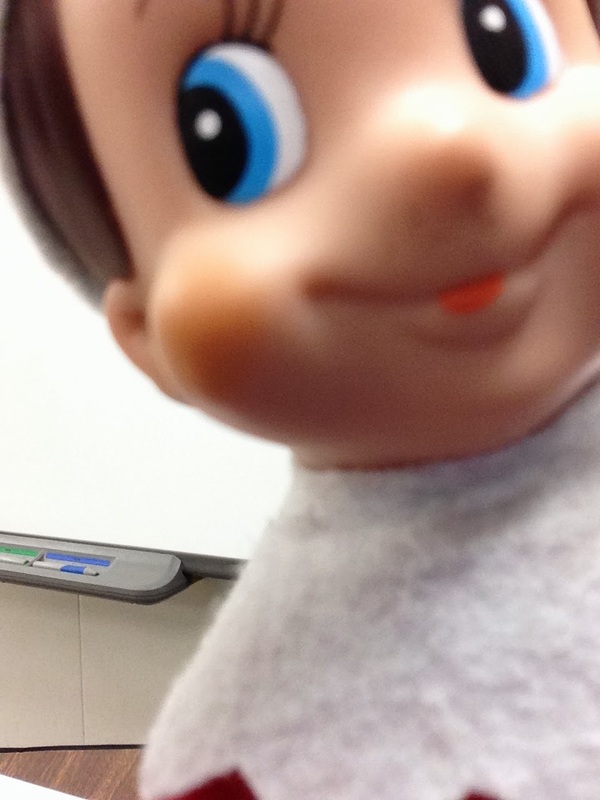 Easiest project ever! 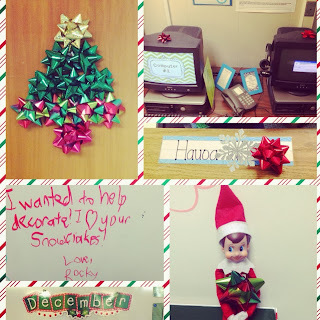 Tuesday: Rocky loved our snowflakes that we hung around the room, so he decided to decorate too! He put a bow on everybody's desk and all around the room! 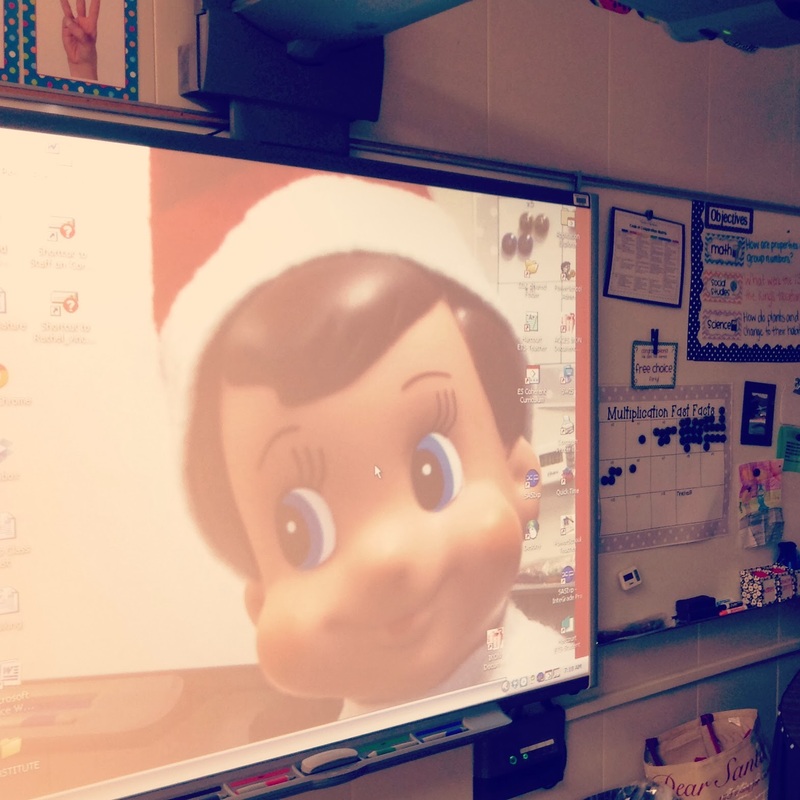 Sneaky Rocky put his selfie on our smartboard! 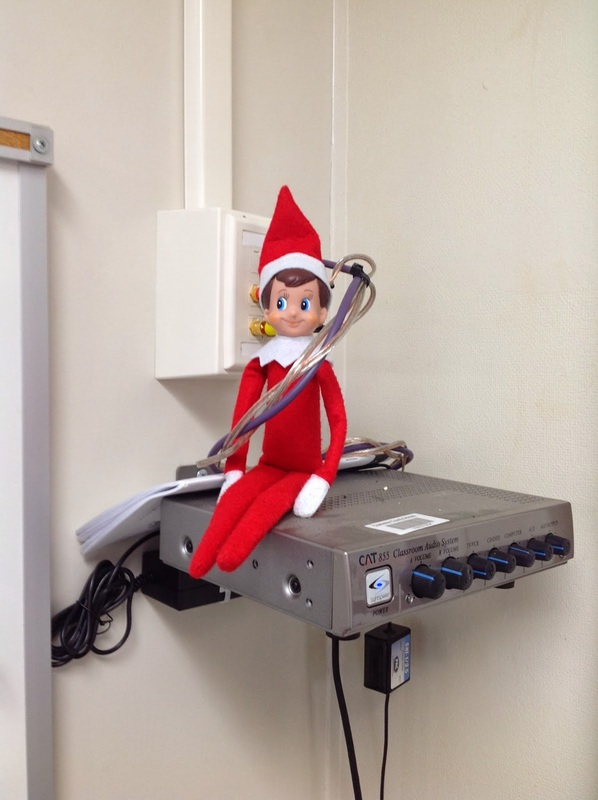 Friday: Hanging out on top of our sound system. The smartboard was acting a little funny and the kids thought Rocky was messing with the wires! LOL! Rocky had a simple week...he must have been busy! I'm a little sad it's his last week with us! I love a good play on words and this was too cute not to use! 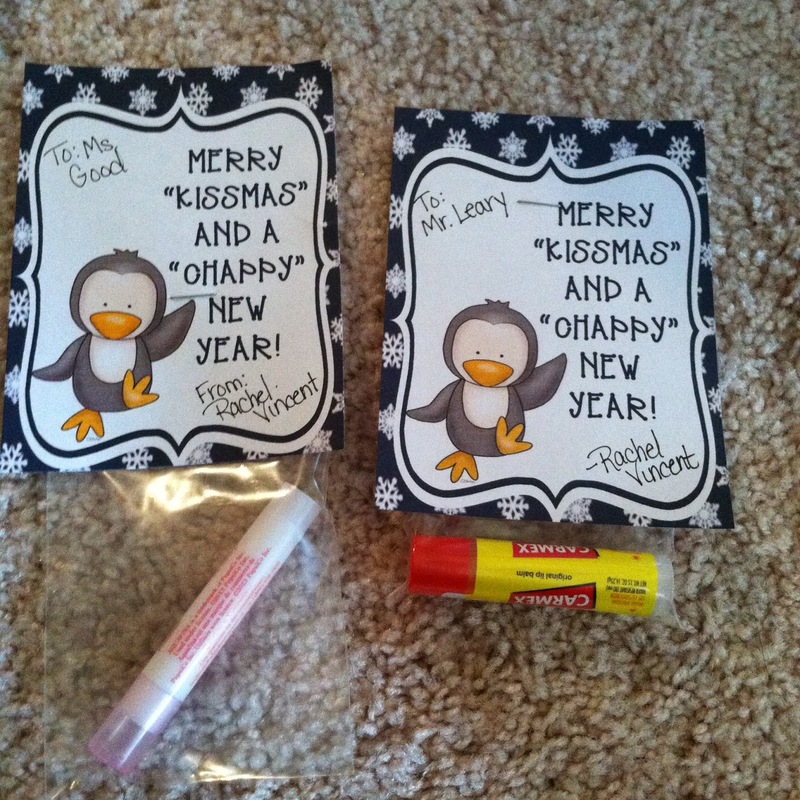 Merry "Kissmas" and a "Chappy" New Year! with chapstick! 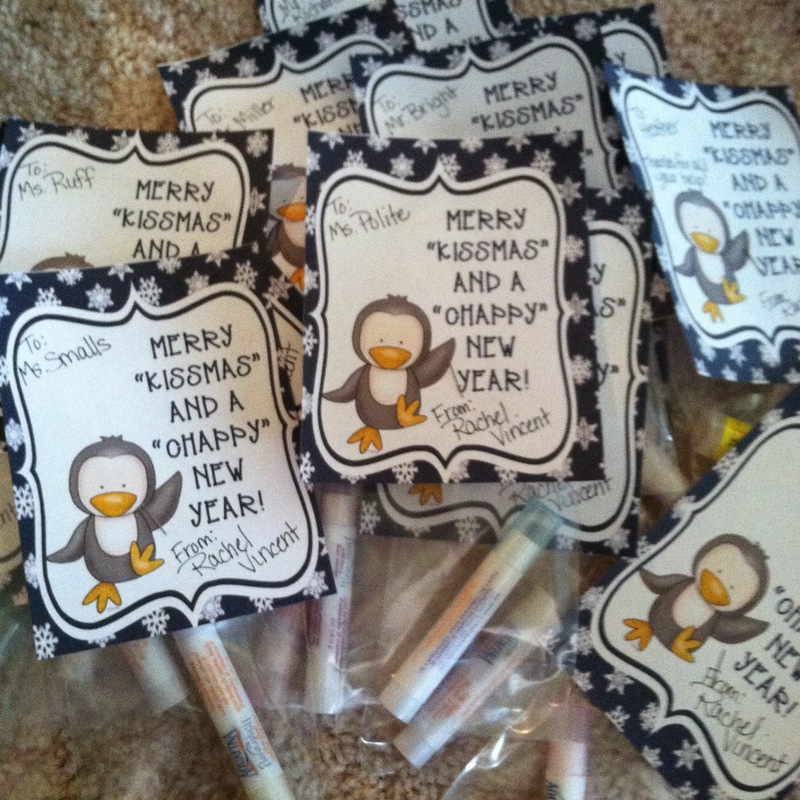 I'm giving these to our office staff and special area teachers! So cute and easy! My kind of gifts! What a great little gift idea! I love it, as it is inexpensive yet unique! I LOVED the photos of Rocky, too, and seeing where he's been hanging out. Have a great week! I love how your little Rocky is sneaky like our class elf too! I LOVE your gifts for the staff members at your school. I am pinning it to remember it for next year. Thank you for sharing your tags too. Love your elf shenanigans :) The gift idea is adorable, too! 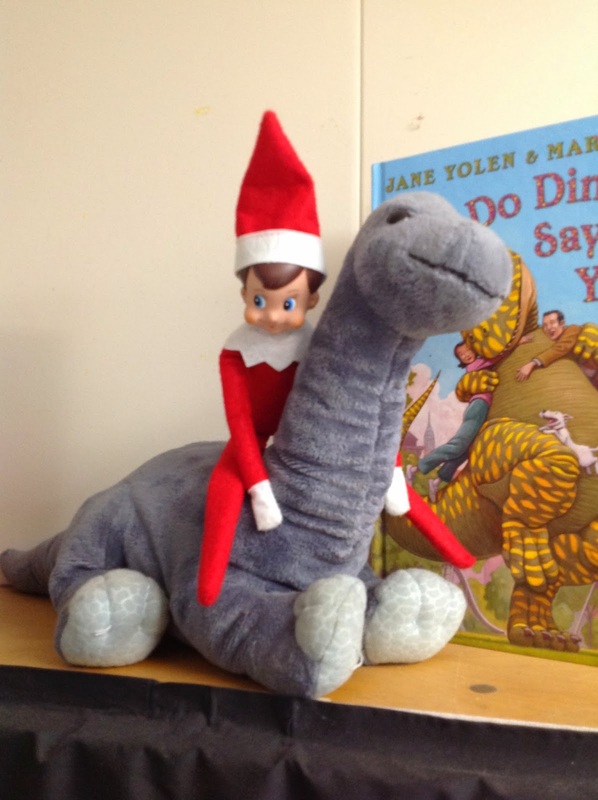 Elfie Selfie....by far the best elf antic I've seen. I just love Rocky, Rachel. I think I might call Santa and tell him what a great job he is doing watching out for your class!